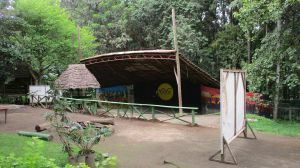 Olduvai inn, view of entrance gate north east of compound from old Moshi rd. 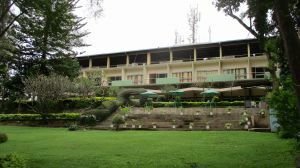 Olduvai inn, a view from the side of old Moshi rd. 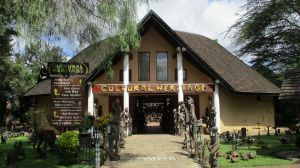 Olduvai inn, a view from the outside standing on intersection of Serengeti rd. and old Moshi rd. 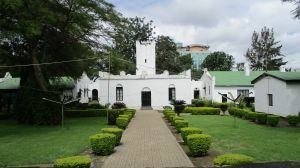 The Olduvai inn of Arusha is a small budget accommodation spot that is located in a tranquil but urban part of the city of Arusha - Tanzania. Despite its small size, it is one of the older hotels in the city and shares the same compound with Mama mia - a bar/lounge/pizzeria and restaurant. 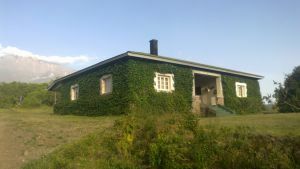 The inn has about 15 rooms, all of which have a bathroom en - suite, complete with a hot water shower and a western style W.C.. All rooms have a king sized bed with a mosquito net, a T.V. 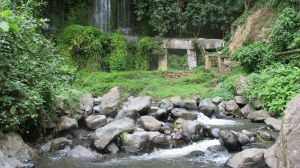 that has a limited set of satellite channels and include a free breakfast that is served at the inn's small dining area. The inn has a small open walled eatery that mainly serves the inclusive breakfast in the morning. It is located in a small stand alone building at the rear garden and breakfast is usually a mini buffet. At the time of writing (2017), this eatery does not provide lunch or dinner, but these are available at Mama mia next door, with the option of a sit in meal or a takeaway to to be had inside the rooms. Apart from the large secure parking space at the front and tours offices onsite, the inn has minimal out of room amenities. 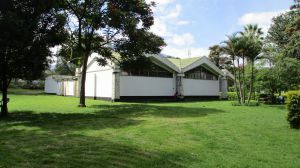 The inn is located along the intersection of Serengeti and old Moshi roads of the city of Arusha Tanzania. 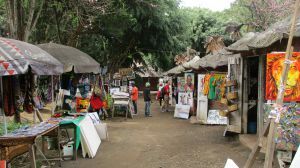 It's location puts it inside a tranquil but tree filled area of the city and also one of its oldest neighbourhoods. It is within walking distance of good restaurants such as spurs, a golf course, several shops and supermarkets, the A.I.C.C hospital, tours and travel offices and the CBD itself. 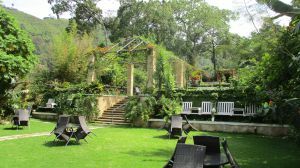 Is olduvai inn your business? Contact us to customise this page or, claim it to be able to edit it at any time.